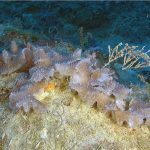 The deep reefs south of Taiwan have revealed yet another interesting piscine discovery, the latest in a string of remarkable finds that includes Selenanthias, Antigonia, and Plectranthias randalli. This recent influx of rariphotic species is thanks to the ingenuity of Yan Jiaxian at FormosaFish, who has developed a decompression tube allowing for the safe collection of these deep sea fishes. 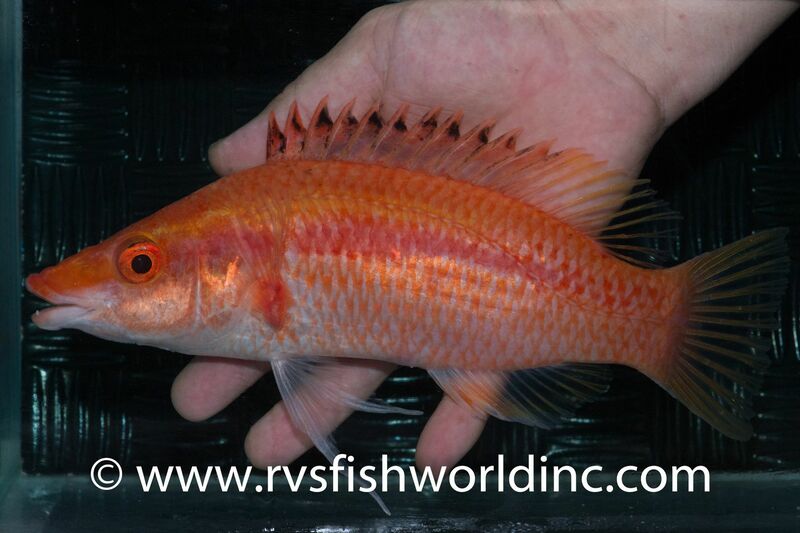 Now, species that have rarely been seen alive are being brought into the aquarium trade, such as the obscure hogfish Bodianus thoracotaeniatus, said to have been collected at 280 meters (900+ feet)! To put into perspective just how uncommon this fish is, when hogfish authority Martin Gomon reviewed this genus in 2006, he had only the original type specimens to examine. And since he didn’t want to damage these, his study of their skeletal morphology was limited to x-rays. Still, this was enough to suggest to him that B. thoracotaeniatus was unlike any of the other 40+ species in the genus, and so he classified it (along with another deep sea rarity, B. cylindriatus) into a separate subgenus, Priobodianus. These two species were regarded as being the most morphologically “primitive” members of the genus in terms of their dentition and scalation. It’s also particularly noteworthy that these are the only Bodianus to lack a “frontal shelf” on their neurocranium, as this is a trait which otherwise helps to delimit the genus from some of their other obscure relatives, like Terelabrus, Decodon, and Polylepion. 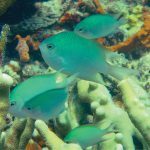 Those three hogfish genera are species-poor and very uncommon within the aquarium trade, owing to their proclivity for mesophotic and rariphotic reef habitats. 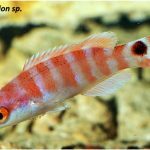 And, similarly, both B. thoracotaeniatus and B. cylindriatus are only found below 200 meters, though the full extent of their depth range and geographic distribution can only be guessed at given the general lack of observations. 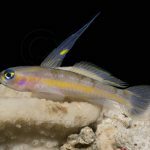 The first in situ images of either species occurred during the 2016 Okeanos expedition to the Mariana Islands, where the stunning juvenile of B. thoracotaeniatus was encountered at 400 meters deep! 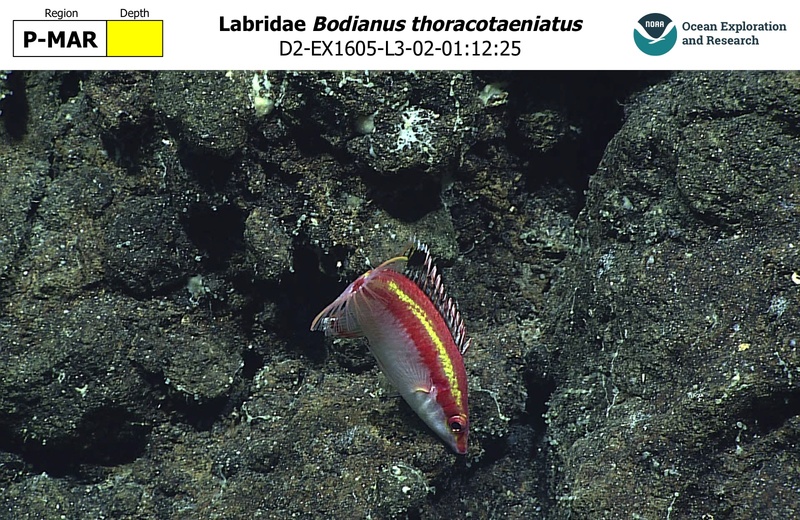 The question of whether this hogfish truly belongs alongside the other Bodianus remains to be settled. Again, owing to a lack of available specimens for study, a 2016 molecular phylogeny of the genus was unable to include either of the Priobodianus taxa. 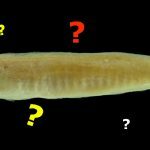 There is, however, a single DNA barcode (CO1) now published for B. thoracotaeniatus, and my analysis of this datum places the species outside of Bodianus and nearer to the other deepwater genera. It’s premature to infer much from this, but, if this holds up to further study, Priobodianus will no doubt need to be elevated as a valid genus.